Daredevil Is In An Enjoyable Holding Pattern! The second season of Daredevil launched on Netflix last Friday and my wife and I have been doing our best to binge-watch straight through it. We have made it about halfway through, so I figured I would give my thoughts. Which is kind of what I do on this blog, so it would be pretty odd of me not to. While the show continues to be good it is disappointing that the main characters don’t seem to be progressing. Foggy is still a brilliant layer that continues to doubt himself and his partner’s night job. Murdock still can’t seem balance being Daredevil and a lawyer even though his firm desperately needs him, and Page still has a mysterious past and her relentless digging in to things endangers her and the others around her. In other words they are all doing the exact same things they were doing last season. Another bummer is that this is all supposed to be part of Marvel’s connected universe, but they can’t seem to say that New York was attacked by aliens, and even more baffling is that the only hint so far in the show that Luke Cage and Jessica Jones even exist in this world is that Rosario Dawson’s Nurse Temple said that she helped out some big strong guy. I mean not to spoil any of Jessica Jones, but it wasn’t like that at the end of her season she kept any of her exploits secret. People should be aware of her, especially red vigilantly ninjas trying to ‘save a city’. Luckily the fight scenes and the new characters make Daredevil well worth watching. While Jon Bernthal’s Punisher started out looking like an out and out bad guy as the series progresses you start to feel for him and understand his quest, and my wife is now firmly on team Punisher. Meanwhile Élodie Yung’s Elektra is shrouded in mystery. You have no idea what she is up to and whether she is good or bad, and Matt Murdock can’t seem to think straight when she is around. Pretty much she is the Elektra fans have been waiting for. 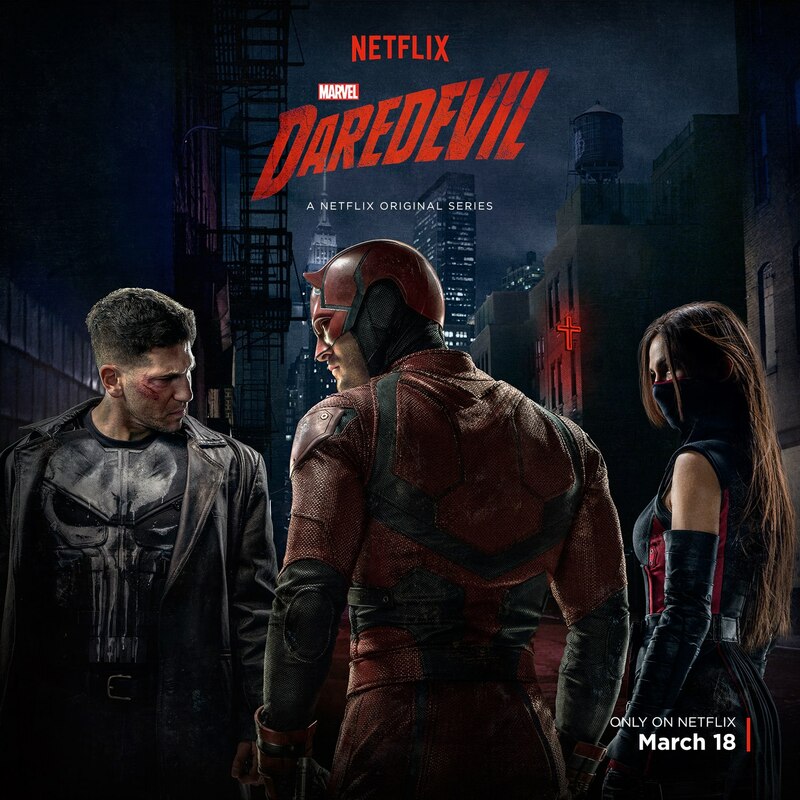 It is a shame that the main characters don’t seem to be exhibiting any growth, and that Marvel can’t quite seem to figure out how their connected universe fits together even on their Netflix TV shows which are meant to be even more connected, but great fight choreography and wonderful new characters make Daredevil season two well worth watching. I still can’t wait for all the Netflix shows to combine in to The Defenders, but for now I am happy that Daredevil is as good as it is since we know thanks to Ben Affleck and crew that it could have been much, much worse. Previous PostPrevious Are We Seeing The Death Of Free2Play? Next PostNext Firefight Is Finally Coming To Halo 5!